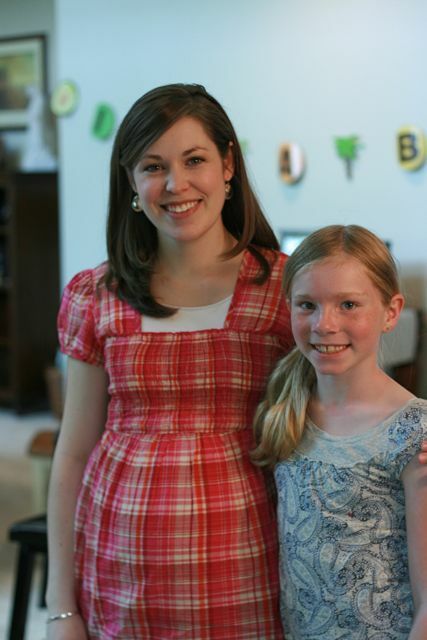 My darling niece, Leslie, is having a baby. I taught piano to Leslie (before she decided that the flute was more her style) and have loved her since I met her oh so many years ago. It's not hard to picture her as a mother, since she used to mother my little Josh and Sophie when she came over for piano lessons or at family parties. She would let them put crowns and capes on her and pretty much make them feel like royalty. Sophie and I spent the morning first at Sophie's mother-daughter Activity Day's breakfast, and then went to celebrate Leslie. And then home for work, work, and more work. Cleaning, mowing, and lots and lots and lots of weeding. 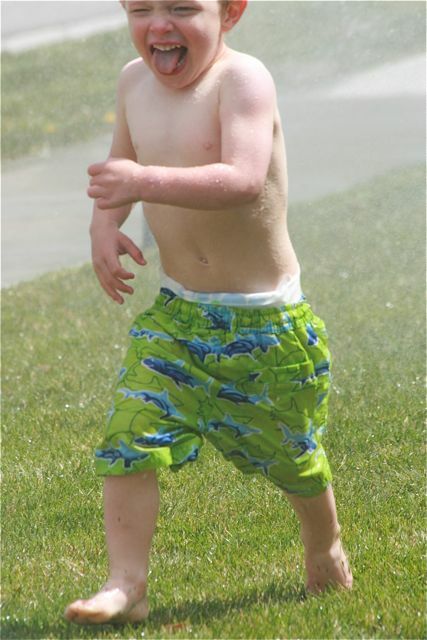 David also turned on the sprinklers to see if all was in order (and all was in order. Well, except for all the broken pipes and sprinklers and hours of work ahead of us...poor David) and the monkeys thought that 60 degrees sounded like perfect sprinkler weather. Is it strange that I think that pic of ben looks just like matt? Maybe not that strange, but it's adorable!